There are many fundamental differences in invoicing the business / corporate customer. ‘Business to Business’ EIPP in the USA, has to date been limited to the building and managing of self-service websites; a ‘COME AND GET IT‘ strategy. Generally, it takes a minimum of eight clicks to view and pay invoices. The website is difficult (and expensive) to customize to each customer. This ‘one size fits all’ strategy is not suited to today’s corporate demand for individual attention. The login, whilst protected by SSL, is still publicly accessible. The business recipient needs to be reasonably web savvy. These solutions are not suitable for a distributed business. Marketing opportunities are very difficult to personalize. 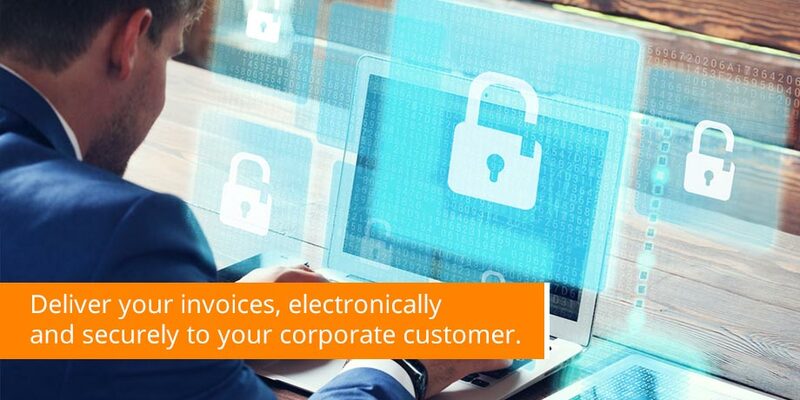 With email ‘presentment and payment’ technology, you are able to avoid these pitfalls by delivering your invoices, electronically and securely to your corporate customer. No action is required by the business customer to receive the invoices. The same recipient/s of the paper invoices can now get them electronically. Viewing and paying can be achieved in as few as two clicks. Detailed ‘invoice presentment and payment’ can be delivered without the requirement of a website. Invoice data capture is eliminated. The biller is able to confirm that the invoice was received, when it was opened, if any marketing links were clicked on and view all the necessary reporting around payment. Due to the ‘push’ nature of this kind of invoicing, extensive personalized marketing opportunities are available. Incentivising trade discounts through early settlements are easily automated. All of this is achieved without the need for the recipient to register or visit a single web page. Email delivery of multi-invoices is as close to your current paper process as you can get in an electronic format, and requires the least (if any) change of process on the customer end. It is for this very reason alone that email ‘invoice presentment & payment‘ will go a long way in solving the current anemic levels of EIPP adoption.